GPS Software, Maps, and Digital Products including eTopo, garmin, backroad mapbooks and more - Map Town. Map Town provides a wide variety of GPS software solutions when it comes to Digital Maps. Whether you want a MicroSD chip that fits into your GPS unit or a software package for viewing topographic maps on your computer we have a solution for you. Garmin Micro SD / SD card with Adapter. Do not let space constraints keep you from your next great adventure. 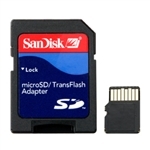 Expand your storage capacity with our 4 GB Class 4 micro SD card. The 4 GB micro SD card arrives already inserted in the adapter, which can be removed for use with all devices that have a micro SD card port. Works with these GPS units. British Columbia Etopo Digital Maps. Includes every 1:50,000 and 1:250,000 scale Canadian topographic map for British Columbia. If you are planning on hiking, camping, fishing, cycling or just plain travelling through this area we highly recommend this package. Canadian topograpic maps are the standard for outdoor recreation in Canada. Etopo Digital Maps are Canadian raster topographic maps scanned at 150 DPI and calibrated for use with an external software package (not included). All Etopo maps are pre-calibrated for use with Memory Map, OziExplorer, MacGPS Pro, Mapcruiser with NavSim, Fugawi, Global Mapper and more. All maps are also viewable and printable with any image viewing or editing software. Please see www.eTopo.ca for detailed information and sample images. Alberta Etopo Digital Maps. Includes every 1:50,000 and 1:250,000 scale Canadian topographic map for Alberta. If you are planning on hiking, camping, fishing, cycling or just plain travelling through this area we highly recommend this package. Canadian topograpic maps are the standard for outdoor recreation in Canada. Etopo Digital Maps are Canadian raster topographic maps scanned at 150 DPI and calibrated for use with an external software package (not included). Saskatchewan Etopo Digital Maps. Includes every 1:50,000 and 1:250,000 scale Canadian topographic map for Saskatchewan. If you are planning on hiking, camping, fishing, cycling or just plain travelling through this area we highly recommend this package. Canadian topograpic maps are the standard for outdoor recreation in Canada. Etopo Digital Maps are Canadian raster topographic maps scanned at 150 DPI and calibrated for use with an external software package (not included). Manitoba Etopo Digital Maps. Includes every 1:50,000 and 1:250,000 scale Canadian topographic map for Manitoba. If you are planning on hiking, camping, fishing, cycling or just plain travelling through this area we highly recommend this package. Canadian topograpic maps are the standard for outdoor recreation in Canada. Etopo Digital Maps are Canadian raster topographic maps scanned at 150 DPI and calibrated for use with an external software package (not included). Ontario Etopo Digital Maps. Includes every 1:50,000 and 1:250,000 scale Canadian topographic map for Ontario. If you are planning on hiking, camping, fishing, cycling or just plain travelling through this area we highly recommend this package. Canadian topograpic maps are the standard for outdoor recreation in Canada. Etopo Digital Maps are Canadian raster topographic maps scanned at 150 DPI and calibrated for use with an external software package (not included). Atlantic Provinces Etopo Digital Maps. Includes every 1:50,000 and 1:250,000 scale Canadian topographic map for the Atlantic Provinces. If you are planning on hiking, camping, fishing, cycling or just plain travelling through this area we highly recommend this package. Canadian topograpic maps are the standard for outdoor recreation in Canada. Etopo Digital Maps are Canadian raster topographic maps scanned at 150 DPI and calibrated for use with an external software package (not included). Yukon and Western NWT Etopo Digital Maps. Includes every 1:50,000 and 1:250,000 scale Canadian topographic map for Yukon and Western Northwest Territories. If you are planning on hiking, camping, fishing, cycling or just plain travelling through this area we highly recommend this package. Canadian topograpic maps are the standard for outdoor recreation in Canada. Etopo Digital Maps are Canadian raster topographic maps scanned at 150 DPI and calibrated for use with an external software package (not included). Every 7.5 minute map, 1:100,000 and 1:250,000 scale map for a state is included with the viewing software. The viewer allows you to annotate maps, print and export maps and sections of maps. GPS Coordinates are continuously displayed. Garmin has mapped every hill and valley for your next great adventure. With detail and precision, this map covers the finer details of the outdoors, including terrain contours, topo elevations, summits, routable roads and trails, rivers, lakes and geographical points. For travel outside North America, Europe, South Africa and Australia; take a look at the WorldMap CD, which provides basic worldwide maps. Use the trip and waypoint management function to create routes and waypoints for your trips and transfer them to your GPS. WorldMap is compatible with most Garmin GPS units and is generally recommended only if no other coverage is available for the area. The MapSource WorldMap CD-ROM provides worldwide coverage with basemap-level detail including the following features: Trip and waypoint management functions; Political boundaries, cities, towns, major motorways and/or interstates, and principal highways; lakes, major streams, and rivers; and urban areas and railroads; Coastline detail which includes many offshore islands, as well as worldwide nautical navaids such as daybeacons, radiobeacons, RACONs, fog signals, lights, buoys, and other navaids. Upload and download waypoints between GPS units and PCs.Compatible with our ETopo digital maps, also BSB and USGS or any raster image maps. Garmin has mapped every hill and valley for your next great adventure. Now with more detail than ever, this product covers the finer points of the outdoors with topographic maps comparable to 1:100,000 scale USGS maps. It also includes terrain contours, topo elevations, summits, parks, coastlines, rivers, lakes and geographical points.